Yes, Ellen wants to send you her #EllenLovesMe Limited Edition Gorilla — and now there’s a chance for any donor to get one! 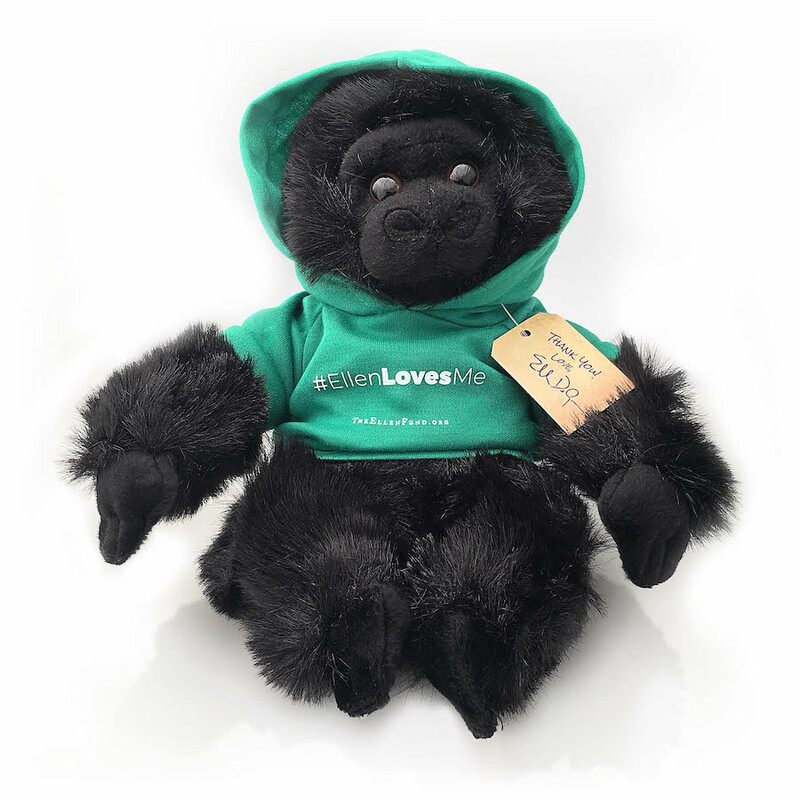 Support gorillas with a donation to The Ellen Fund of $500 or more before Jan 1, 2019, and we'll send you one of these limited edition plushie gorillas with a green hoodie and printed thank you tag! And 25 lucky donors of any amount who also give us a social media shout-out with #WeNeedGorillas will win a plushie gorilla! We Love Our Ellen Fund Friends! Thank you for subscribing, we look forward to sending you gorilla news soon! ©2018-9 The Ellen DeGeneres Wildlife Fund. All Rights Reserved.